High Filtering - All outbound and inbound connections are blocked. This setting blocks all attempts to connect to and from your computer. Medium Filtering - Outbound connections that do not match a rule are blocked. Only programs you allow can initiate outbound connections. Low Filtering - Outbound connections that do not match a rule are allowed. The user can block the programs he don't want to initiate outbound connections. √ Just one small executable file. All features are packed in the same file. √ Intuitive and easy accessible interface in the system tray. √ Full support with standard user accounts.  √ Possibility to create temporary rules. 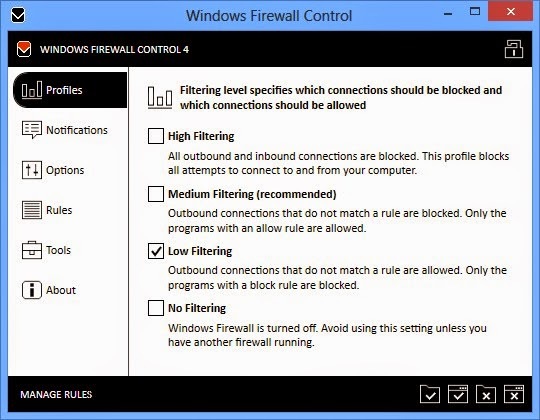 √ Disable the ability of other programs to add Windows Firewall rules. √ Full support of creating, modifying and deleting Window Firewall rules. √ Lock feature which can disable the access to the settings of the program. √ Search for invalid rules with the possibility to delete them. √ Search for executable files through folders and create new rules in seconds. √ View recently blocked connections and create new rules from the log. √ Choose if you want the program to start at user logon. √ Import and export the settings of the program. √ And many more. Just try it out. √ Compatible with all 32bit and 64bit versions of Windows 8, Windows 7, Windows Vista, Windows Server 2008. Windows XP is not supported. - New: The profile displayed in WFC is updated now even if the user changes the settings from outside of WFC (e.g. : Control Panel applet, netsh or WFwAS mmc). - New: The restore profile set in the Profiles tab is reverted now even if the state of Windows Firewall is modified from outside of WFC. - New: Added a new confirmation dialog when the user switches from Main Panel to No Filtering profile. - Updated: Secure Boot was changed to only set High Filtering on system shutdown when it is enabled. From now on, the user has to switch manually the profile at system start-up if this option is enabled in order to enable network connections. The old implementation had very unpredictable results and did not work always correctly. - Updated: The logging was updated to provide more detailed messages. - Updated: Event Viewer launched from the Tools tab will open by default the WFC subcategory. - Removed: The confirmation dialog that is displayed when a new rule is created was removed. From this version, the confirmation dialog is displayed only when a new rule is created from shell context menu. - Fixed: High Filtering profile can not be switched off in certain circumstances and "Core Networking - Block all inbound/outbound connections" rules can not be removed. - Fixed: Temporary Rules are not deleted at WFC restart if Secure Boot is enabled and the computer is restarted. - Fixed: Last used path is not remembered when exporting a partial policy file. - Fixed: The toolbox horizontal size is not saved when Rules Panel window is closed. - Fixed: Multiple rules can be merged even if the selected rules are defined for different protocols. This is not allowed anymore. - Fixed: Properties dialog of a rule does not appear in the taskbar and if the dialog is minimized, the user can't close Rules Manager from taskbar context menu. - Fixed: Uninstall dialog appears in taskbar but the dialog is not focused and the user has to activate the window manually in order to see it.